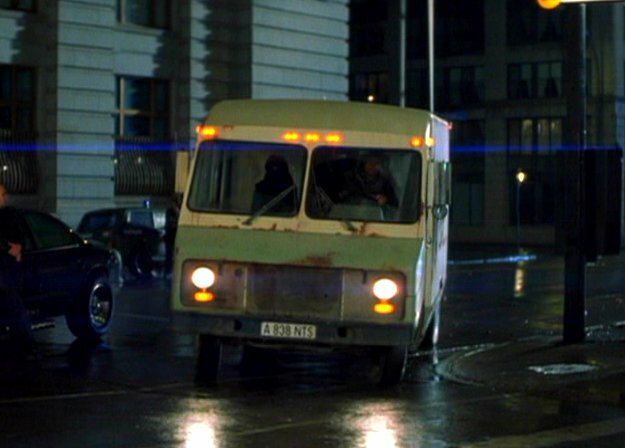 IMCDb.org: unknown in "Rollerball, 2002"
Don't looks like Chevrolet. Maybe some old motorhome? Jale, any luck? It's our oldest unknown van. This was filmed in Canada, have you tried any of the Canadian makes? Wheels look like a GM chassis, so I bet this was some obscure Canadian body manufacture. Vans from mid eighties, chassis Chevrolet, made specifically for Purolator. But by whom...?